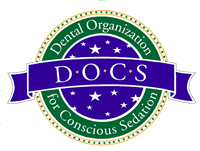 Experienced Sedation Dentist in Commerce Twp. Sedation Dentistry will help remove the anxiety from your appointment! Dr. Sedki and his experienced staff, have extensive training in sedation dentistry. Our Commerce Twp. dental practice combines technology and comfort, providing safe and effective dental treatment. Our goal is to eliminate dental anxiety with a positive experience. Prior to your appointment, our staff will explain how your appointment will work, and what you can expect. Rest assured, Dr. Sedki will closely monitor your comfort during your appointment. Sedation dentistry, also known as sleep dentistry, has gained popularity over the past few years. Individuals who are anxious about their dental appointment now have options! The most common reasons individuals choose not to visit a local dentist is due to fear or anxiety, have a hard time sitting still for long periods of time and find it difficult getting numb from anesthetics. Although you are not completely asleep, you will feel as though you are. You experience will be comfortable and effective. Sleep dentistry offers quality dental care without the anxiety. Sedation Dentistry is typically only used on adults over the age of 18. Just Imagine for a moment, undergoing a dental treatment such as a tooth extraction or a root canal. After your treatment is completed, you have no recollection of the time it took nor the potential pain or discomfort. Do you have dental anxiety? We can help! Dr. Sedki’s dental practice in Commerce Twp., MI, offers full-service dental care from children’s dentistry, dental treatments, and cosmetic procedures. Call today for your free smile assessment!